Even for a near-immortal, adamantium-endowed mutant killing-machine, Wolverine has lead quite the chaotic cinematic life. Having fought two world wars, escaped mutant extinction, and slept through his own Origins story, Wolverine now finds himself in Japan and he’s as furious as ever. It’s just as well then that MARCO BELTRAMI has produced a score that is an exercise in near perpetual anger, intensity, and intimidation. 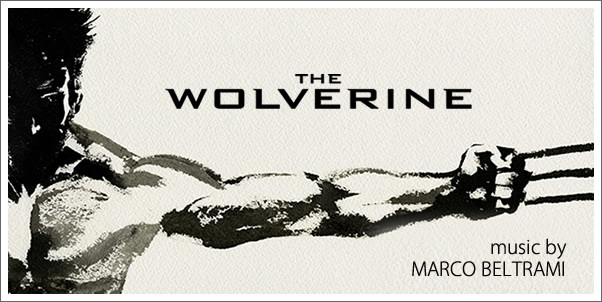 THE WOLVERINE is a divisive score, there can be no doubt of that. Aside from a brief respite towards the score’s conclusion, this score is a long, dark labyrinth of rage. It’s certainly not a score for everyone, but those who find themselves comforted by such imposing orchestral outbursts will certainly be able to find something worth enduring.